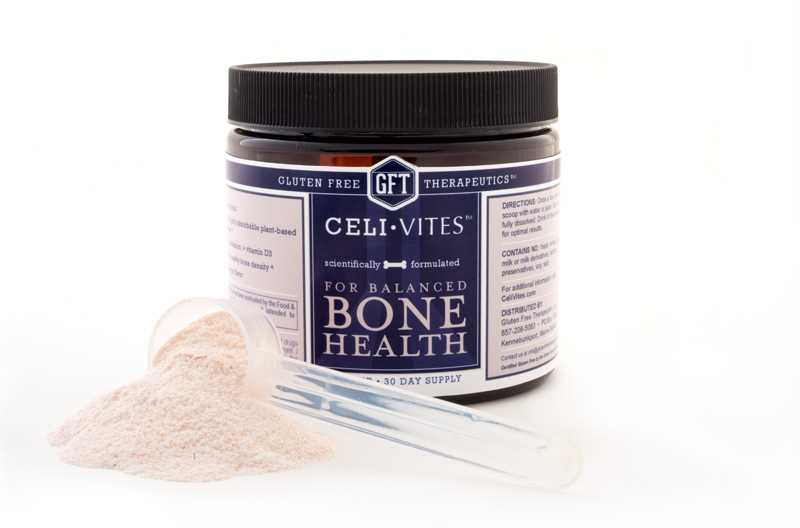 The CeliVites Bone Health Formula is an advanced blend of highly absorbable bone building ingredients that work together to safely and efficiently get calcium to the skeleton where it is needed to improve bone health. 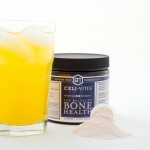 A unique and advanced formulation of calcium, magnesium, potassium, Vitamin D and Vitamin K2 that work together to promote exceptional bone health. 500 mg of calcium: 50% as calcium citrate, 50% as Aquamin®, a highly absorbable source of calcium, magnesium, and over 70 trace and ultra-trace minerals. Magnesium to draw calcium out of the blood and soft tissues and into the bones; and to convert Vitamin D to an active form, which in turn enhances calcium absorption. Potassium to neutralize bone-depleting metabolic acids and conserve calcium. Vitamin K2, at levels clinically proven to reduce bone loss, helps direct calcium away from arteries and soft tissue and to the bones where it is needed. 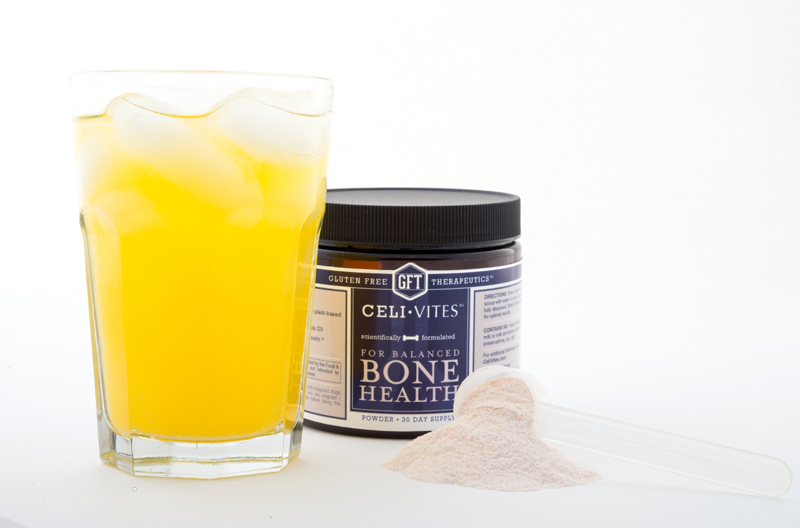 Each ingredient contained within CeliVites Bone Health was purposefully selected. To learn more about each ingredient, click the tabs below. 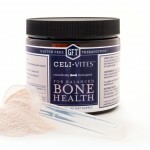 Bone Health by CeliVites provides 1000 IU or 250% of the daily value of vitamin D. Those taking both Body Health and Bone Health by CeliVites will receive 2000 IU or 500% of the daily value for Vitamin D. In a controlled experiment using laboratory non-human primate models of postmenopausal women, those with higher serum concentrations of vitamin D and also receiving supplemental estrogen had increased bone density relative to those receiving a placebo instead of estrogen. 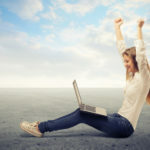 In summary, in this study vitamin D and estrogen supplementation are synergistic in their effects on increased bone mineral density*. In a clinical study, postmenopausal women taking 180mcg of Vitamin K2 as menaquinone-7, the same dose provided by Bone Health by CeliVites, had decreased bone loss*. In a prospective study of 4807 Dutch men and women over age 55, those ingesting quantities of menaquinone in the mid and upper tertiles (21.6-32.7 and >32.7 mcg respectively) had a decreased risk of dying from coronary heart disease, a decreased risk of dying from any cause, and a decreased risk of severe coronary calcification**. 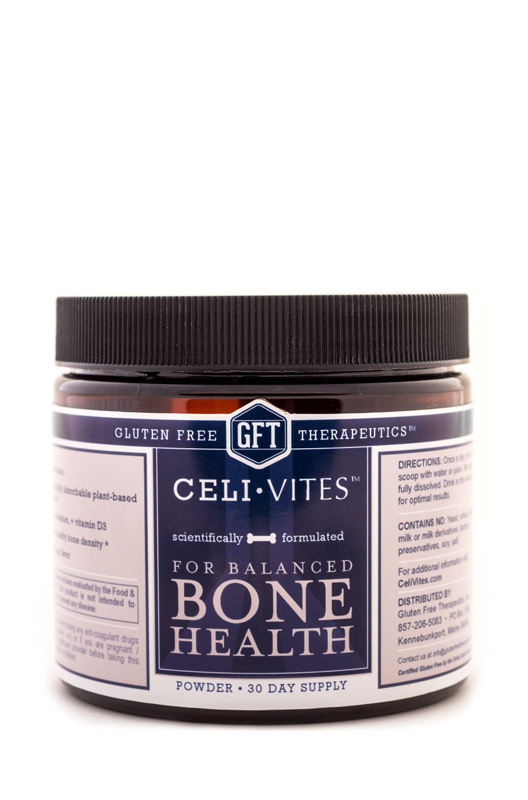 Fifty percent of the calcium in Bone Health by CeliVites is supplied as calcium citrate and 50% as Aquamin®, which is derived from Litothamnion coralliodes, a red algae from the Atlantic waters off the coast of Ireland and Iceland. 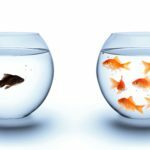 Aquamin® was found to reverse bone loss associated with feeding a high-fat Western diet in female mice*. As a marine plant-derived extract, in addition to calcium, Aquamin® contains magnesium and over 70 trace and ultra-trace minerals. Magnesium is important for calcium homeostatis and bone health. 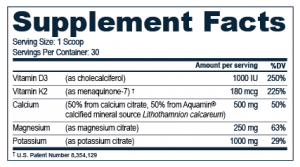 In a prospective study of 20 postmenopausal osteoporotic women, those taking a supplement with 1830mg magnesium citrate had levels of biochemical markers indicative of less of bone turnover than those not taking the supplement*. The western diet is higher in meats and high protein grains than was the diet of our ancestors, resulting in acidification. 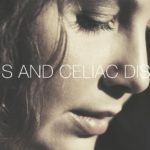 One hypothesis is that such an increase in acid load contributes to the loss in bone mineral density observed among modern postmenopausal women. Because potassium citrate is alkalizing, it could reverse the effects of an increased acid load on bone formation or loss. In a study with 161 postmenopausal women with low bone mass, when compared with those given potassium chloride, those given potassium citrate gained bone mineral density in the lumbar spine after 12 months (L2 – L4) (P<0.001)*. In the U.S. 98% of adults do not ingest the recommended daily value of potassium (4700 mg)**.